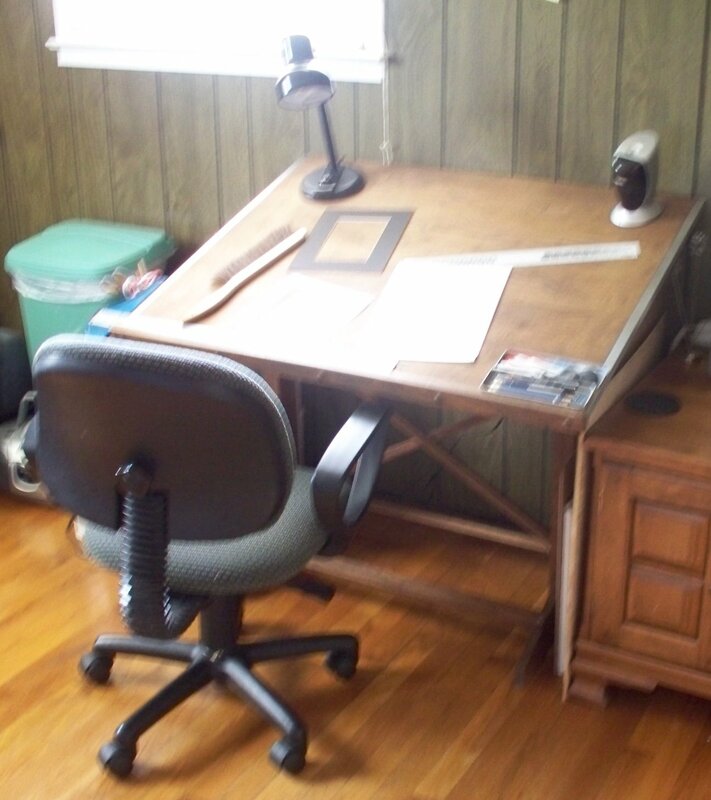 We went to see an art friend of mine and she gave me this big drawing table. She likes to paint in her bedroom or in the kitchen so she had no use for it. But I sure did and made David load it in the trunk before she came to her senses, and laying on my beloved 2nd hand table is a commission of a dog that I have been working on. Yep, you heard right. It’s my very first commissioned piece. SCARY stuff. It’s difficult, because the ref. photo is from a cell phone, so I kinda have to make up the details as I go along. If the dog came from one breed, I could study other dogs of that breed. But she/he ‘s mixed and her/his parents were mixed and so on and so on…. So I have no idea. The dog had passed away, so the cell picture is it. The owner of this dog is very sweet and easy to work with. So it isn’t as scary as it could be. I’ll post, after she gets the drawing. Vicki has been making color palettes derived from photos. It would be really handy for mixing colors in painting. She also showed me how to link so I thought it was only fair that she was my first. Also, while you are at it, browse her blog, it’s full of all kinds of neat stuff!